30th Annual ACFE Global Fraud Conference 2J: (Un)Ethical Decision Making: Is Your Training Changing Behaviors or Checking the Box? Most organizations provide ethics training, but does it make a difference? Is it just “checking a box” or does it change behaviors? Often, ethics training focuses on case studies and examples of organizations that made unethical decisions that led to fraud or scandal. But we already know the outcome and therefore we also know the right answer. We aren’t learning how to evaluate situations and prevent them; we are only examining specific scenarios and their failures. For ethics training to drive positive behavior, it must teach ethical decision-making skills. It requires understanding subconscious influences, significance of context, power of language, framing of issues and causes of ethical blindness. This session will explain why corporate ethics training must go beyond informing employees of laws and organizational policies and instead focus on equipping employees with the skills to make sound ethical decisions. Mary Breslin, MBA, CFE, CIA, is the founder of Verracy Training and Consulting. She has more than 20 years’ experience in internal auditing, fraud examination, management and accounting for companies such as ConocoPhillips, Barclays Capital, Costco Wholesale, Jefferson Wells and Boart Longyear. She specializes in internal audit transformations, operational and financial auditing, fraud auditing, investigations, and corporate accounting. She has international experience and has managed audit programs in more than 30 countries. 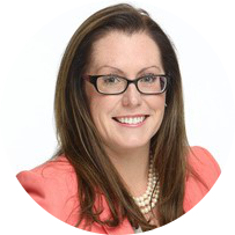 Breslin attended Rutgers University and received her BS in accounting and an MBA from the University of Phoenix. She is a Certified Fraud Examiner and Certified Internal Auditor (CIA).